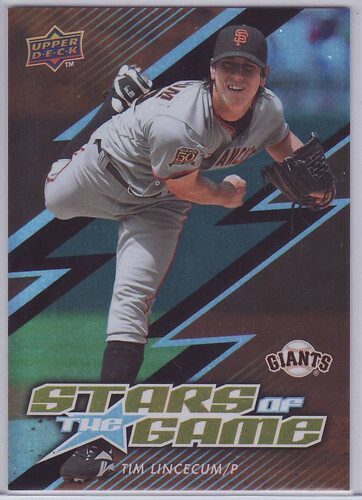 This entry was posted on March 5, 2009 at 3:43 pm and is filed under Collecting, contest, mailday, Tim Lincecum with tags mailday, road to 10000 hits contest, Tim Lincecum. You can follow any responses to this entry through the RSS 2.0 feed. You can leave a response, or trackback from your own site. 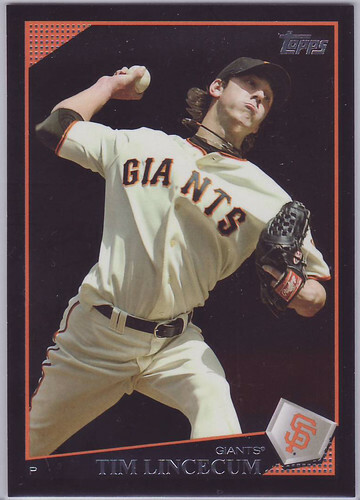 The black card dayf sent you are the special Wal-Mart blaster cards. And they are, indeed, a gimmick. 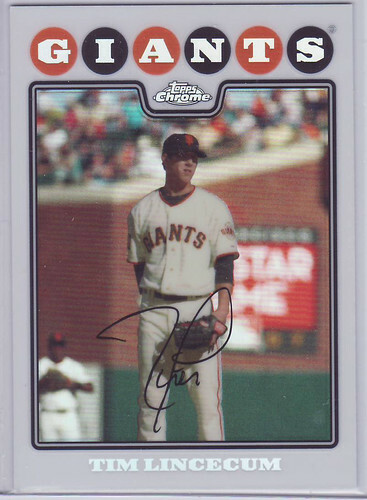 But thanks to the bloggery, Topps was forced to clue in collectors to what they were buying. Hi, Anthony here. I asked for the Bonser. Thanks and enjoy your card! Got the cards today! Thanks man!